Your email is your business’s lifeblood these days. Most clients like the convenience of reading their updates on their home, on their title commitment, and everything else through the convenience of email. And, while they may or may not be following safe procedures, it should be one of your primary concerns. After all, your clients private information is in those emails. Financial records, account numbers, names, and other forms of sensitive data that shouldn’t be released to the public. What if someone guesses your password or otherwise gets access? There are some very good tips you can follow to keep your email safe. Most of these solutions are simpler than some recipes you’ve been dying to try or some driving maneuvers you perform daily. If you add these layers of security, you can be confident in your email’s safety. If you see any of your passwords on here, you should be changing them right now. Those are the most common and they are also the most easily guessed. If you’re worried about remembering passwords, use a password manager app or sync tool like iCloud Keychain or 1Password. That way, you can generate extremely secure passwords that your phone and/or computer will put in automatically for you while still maintaining the security that you need. But, a good password isn’t worth anything if you give it away willingly. We’ve all been warned about phishing and spam, and never to click links in emails where you (a) weren’t expecting an email or (b) don’t know the sender. Those maxims are still true but there’s even more to be worried about now. An email might claim your account will be shut down or important documents will be lost if you don’t take action through their links. This is usually false. If it isn’t, you’ll be notified when you log in to the real service through a link you’re familiar with. Most spam artists are not well known for having good grammar and punctuation. If the email reads choppy or wrong, it’s most likely a fake. Phishers generally don’t want information for smaller, niche websites, so be especially suspicious of emails from the big guys: Google, Facebook, Twitter, and so on. Follow this rule of thumb if you don’t want to get caught by a phishing scam: if you receive an email from anyone asking you to login, give them your password, or otherwise give up information, do not use their links or give them that information. Instead, if you’re concerned, go to the website they’re claiming to be from yourself by hand-typing the URL into your browser. That way, you can be sure you’re at the right place. A problem that faces real estate and title professionals in particular are schemes to get you to transfer funds to a dummy account. The emails in question will look almost exactly like real requests for transfers and if you’re not careful, you might end up sending large amounts of money to fake accounts. When in doubt, verify the transaction request with the sender if you know them, or take steps to find out if they’re legit. Use the tips above to recognize and avoid emails intended to steal passwords or cash and delete the offending messages as soon as you can. If you’ve ever revealed your security question’s answer anywhere, ever, don’t use it. Instead, if you’re given the option, make up your own question about something you don’t tell others, or use the question that you’ve never told anyone. Be aware, too, that some image memes that are commonly shared on Facebook are looking for information commonly found in these questions. If you know you use certain details for these questions, don’t publish them on any social media network or tell anyone you don’t trust. Some websites (like Google, Facebook, and Twitter) have introduced what’s known as 2-factor authentication. It may sound complex but it’s actually rather simple: they require any password input to have another, smaller password generated by another device. The services I mentioned earlier all use apps on iPhones/Androids to generate the code. If you activate this system, you’ll be asked for a code each time you log in that only you, on your device, can make. That way, even if someone else has your password, the only way anyone’s getting in is if they have your code generator—and they’d need to steal your phone for that. The only way that you’re going to lose your data and your email account if you use these tips would be to hand it to them directly. Staying safe has never been easier thanks to the basic tools that we’ve been given from the email providers themselves and the basic tips to maintaining a safe, secure email system earlier in the email: make a good password, give it to no one, don’t log in through links but rather through the sites themselves, and just practice good email management, and you’ll be fine! Any email coming from anyone you don’t know or any company from whom you’re not expecting an email is suspect. Don’t click those links. Get rid of simple passwords and those “123456” codes—they will get you into trouble. Services like Google’s Authenticator and other forms of two-factor security make it harder for phishing and brute-force password hacking. Use those services. Don’t make your security answers public information—if it’s used to secure an account, keep it to yourself. If an email feels wrong or is unexpected, confirm and verify it. It’s usually too good to be true. As professionals, it can be difficult to keep track of what’s going on in the world we live in. From the vast social networks that we must keep track of to the niche sites where our businesses might be talked about without our knowledge, how can you keep your eyes on what’s being said—and how can you use that information to make your business better? One popular way of monitoring your image is to use Google Alerts to ensure that you’re always on top of what Google sees—and we all know that Google sees just about everything. Put your name into the box, set your email to receive the alerts, and you’ll be on your way. If there’s something new that Google finds, you’ll hear about it as often as you like. That way, if something happens in one of the remote corners of the web, you’ll know about it. You can track your image on social media channels mostly by making sure you maintain a solid presence online. The internet is not shy about telling you exactly what it thinks, good or bad. If you give people an outlet to pour out their experiences, good or bad, you’ll hear about it. In fact, some companies have taken to proactively diagnosing and fixing the problems while engaging entirely through social media channels. Listening to social media for your name or business name can be as simple as searching through Twitter, Facebook, or your preferred network’s search function, but you might consider using a solution like Hootsuite to set up search terms on each network that it will monitor and create a dashboard for. It might make it simpler for you to be listening for what people are saying about you. A big one that people don’t generally think of is to be monitoring sites like Yelp, Google+ Local, and other map-based sites where people might be tempted to leave bad reviews or say bad things. Make sure that in your search of the internet that you keep sites like these in mind. It’ll help you in the long run because not only is it good to claim your locations and keep the info up-to-date, you’ll be able to head off customers who didn’t use the proper support channels to let you know about the problem. Overall, monitoring your online image is easy once you get the hang of it. In fact, most of it is automated thanks to tools like Alerts and Hootsuite. Don’t let it distract you from the goal of providing the best client service that you can. Our world is increasingly mobile, it seems, and that means that battery life is a far greater concern than it used to be. As of May 2013, only 9% of Americans don’t have a cell phone of some sort and about 56% of the population has a battery-drinking smartphone. We’ve all had fears about low batteries, losing connectivity and our only real line of communication. Those fears are well-founded, especially considering that average battery life in a smartphone is around a day if you’re babying it. However, there are some things you can do to make sure your mobile link to your data and business stays running throughout the day. First and foremost, you need to know a few things about the battery itself. All cellular devices sold in the US right now use Lithium Ion (Li-ion) batteries, and these batteries are the most advanced battery tech we have available to us. These are not like the old rechargables we were using when cell phones first came to market. For instance, Li-ion does not suffer from “memory effect”, and therefore does not need to be drained empty and fully refilled each time for the safety of the battery. To maintain Li-ion’s ability to hold a charge, best practice is to charge it when you can, and don’t let it discharge completely very often. Keep a charger with you and let it sip when you can. This will not harm your battery; in fact, it’s the way the battery works the best. When you’re losing charge in your smartphone’s battery, it’s either because the battery’s charge gauge is a little off or because the battery is getting old. Be sure to do a calibration (discharge to 0 percent and recharge) as often as the manufacturer recommends. For instance, Apple recommends doing this to your iPhone once a month. This does nothing to the battery itself, it just resets the gauge. The biggest way to damage a smartphone battery is by exposing it to excessive heat. Don’t leave the phone in a hot car or in direct sunlight; the higher the temperature, the faster the battery will degrade. And, so you know: modern smartphone batteries are rated to last 3-5 years, which is most often longer than you’ll own the device itself, so don’t worry too much about battery health. Be responsible and you’ll be fine on this part. Most battery drain problems are more usage related than battery health related. How you use your phone has as much (if not more) effect on how your daily charge holds up. Certain apps (like the Facebook app) are known battery drains, while your brightness settings and cellular settings can affect your charge. By and large, the biggest culprit of battery drain is when your phone is searching for cellular signal. iPhones, which have great battery life in optimal conditions, can have abysmal battery life if they’re constantly searching for signal. One of our employees here lives in a signal dead zone and sees his battery drop from 100% to 40% in a matter of a few hours when at home, but walks out of the office every night with over 90%—he has good signal there. If you’re consistently in a low signal zone and don’t need your phone or text messages, consider turning on Airplane Mode and WiFi. Those two steps will skyrocket your battery life. Also, hunt for apps that continually refresh in the background, such as email, Facebook, and other social and communications apps. While they’re handy, they’re also battery drains. It comes down to how necessary they are. The same employee from our previous anecdote uninstalled the Facebook app and has seen an improvement in battery life. The simple way to put it is this: if you need your battery to last all day (and even into the next day), evaluate your apps and keep only what you need on your phone. Otherwise, be sure to carry a charger—it’s the ultimate solution to poor battery life. This should help keep your business moving! We’re sure that you’re all familiar with data caps as members of the RE industry. After all, with cell phones becoming increasingly common (91% of adults have one), usage is at an all time high—which might explain why companies such as AT&T and Verizon put data caps in place, to make more money and to reduce network congestion. And you, as professionals, use apps like Maps and services like Evernote to keep everything up to date with your services. When your data cap is looming large over you, free WiFi might seem like a godsend. Use your services without adding to your data cap—the perfect combination! But, before you connect to just any network, we have a warning for you: while WiFi from businesses and private providers like Brighthouse or AT&T is everywhere, it’s also dangerous. Free WiFi feels great, but certain providers of free WiFi prefer to use managed systems rather than password-secured hotspots like businesses use—usually to ensure that the public can connect and increase their awareness. But the problem here is that on an unsecured network like this—even if there’s a login screen for your personal credentials—none of your data is properly encrypted, meaning that anyone can get on the network and, with a little bit of knowledge and work, can get your personal information from what you’re broadcasting over the air. While some apps and websites do use encrpytion to connect (such as Facebook and most banks), care should be taken because other sites and apps have not adopted the standard. Responsible use of WiFi can and will make your life better but it only takes one irresponsible person to ruin your accounts or your work. Be safe when connecting! We’ve also been receiving reports of thieves using fake hotspots to lure you into trusting them. They follow the same system as phishing attempts through your email: recreating websites to look official to get you to give up your credentials. It’s worse when you realize that most cell phones (regardless of operating system) are set up to automatically connect to their provider’s hotspots automatically—but they put no controls in place to prevent fakes from replacing them. Here’s a scenario: let’s say your WiFi is toggled on your iPhone and you’re walking to a showing. If someone in the area has named their WiFi “attwifi,” the normal name for AT&T’s hotspots, you’ll automatically connect whether the hotspot’s legitimate or not. Then the thief can go to work sniffing out your data. If you’re not expecting a free WiFi hotspot, you might not notice and then you’ll be compromised. There are steps you can take to help prevent this problem. For one thing, every modern smartphone has an indicator showing that a website is secured and encrypted (meaning it’s far harder to read what you’re sending). On iPhone, there will be a grey lock next to the name of the site you’re on. This means that the connection is secured and the identity of the site is verified by a third party. On Android, it depends on browser, but the Chrome browser displays a green lock. Look for these symbols when doing any transaction with your data! Without them, you are at risk. Secondly, you should turn off auto-login to any and all WiFi hotspots that they’re currently enabled for. While it’s a bit more work to do, it’s not all that difficult to do. On iPhone, it’s in Settings > WiFi > (Network Name — click the circled “i” symbol) > Auto-Join. These tips will make your life more secure and protect your contacts, leads, and business from being spied upon—or worse! Troubleshooting: Everyone’s had a bad experience with a computer at some point: either a program crashing, a slowdown, a virus, or even just computer age. Well, while manufacturers would like you to upgrade often, there’s a better way to keep your computer running for a while longer—especially if you don’t want to move to new equipment or if you’re waiting on a certain feature to come to market. We’ve got the tips you need to do some troubleshooting to your computer! Rebooting is the number 1 biggest fix to a lot of problems you might have. Rebooting resets a lot of systems and frees up your system memory to be completely reallocated. While it might sound trite, your first troubleshooting task should always be to reboot. The problem with applications is that they bog down your hard drive and can make things run slower than they need to—especially if your hard drive is short on space. Keep it simple: delete and uninstall programs you don’t need so your computer has less to look through. This is basic virus safety but it applies to other applications, too. Windows apps have historically been feature-rich but this can lead to bloated programs that do 5,000 things when you only need 3 of those features. Install the right programs—and don’t let your PC bloat. All systems are subject to fragmentation and fragmentation means that your computer is struggling to find all the data it needs to start a program or open a file. You should be running regular defragmentation on your PC to ensure that it can find those files easier. Heat and dust are big issues for computers. Besides the obvious issue of cleanliness, dust, debris, and other obstructions can hold moisture and even bugs that can short out a circuit. Even if those aren’t a problem, dust can make your system run extra hot and that heat can cause slowdowns and cause components of your computer to fail. Keep the inside of your computer clean! While we’re sure you’ve heard more than your fair share about viruses, it bears repeating: viruses are dangerous to your security and can cause your system to run slow, incorrectly, or even destructively. Somewhere around 32% of computers have some sort of infection on them. Keep your virus scanners up to date and keep malware and adware protection on your computer. That will help solve most of the problems resulting from viruses. Don’t buy into the idea that you need a whole new system if you’re experiencing slowdowns. The above tips can help you avoid replacement, but there’s something else you should consider: if your PC is more than 5 years old, slowdowns are not only common, they’re inevitable. The rate that hardware is improving means that 5 years is the difference between bleeding-edge and dinosaur. This doesn’t mean your PC is useless, just that it might take a little longer to run the new versions of software or to boot up. This is normal and expected, and shouldn’t cut into your workflow too much. Either way, using these tips, you should be able to milk a little more life out of your computer, regardless of operating system. Troubleshooting can save you a lot of time and money, and it doesn’t have to be difficult. Blogging is the thing to be doing in online marketing. The trends in marketing are all heading towards online marketing. While hand shaking and grinning at events is always effective (and word of mouth is still king), an online presence is becoming more and more important. While mobile technology is 7 years old, it’s still in its infancy—meaning that now is the time to get in on the game. Encourage sharing of that content and make word-of-mouth easier to get. It’s not just a hobbyist thing anymore, nor is it just for revolutionary ideas. You’ll never know the reaction you’ll get from your ideas if you don’t put them out there. Blogging is for ideas. You have ideas. Big ones. Whether it’s about how the market is flawed (and your great solution to that flaw) or how someone can make the market work for them rather than working the market, you’ve got something to say about the market somehow. Start saying something big, develop those ideas. Some of the biggest internet successes all started by seeing a great idea and developing those ideas into bigger things. Their sense of entrepreneurship and intelligence moved them from people with ideas into people with products. Elon Musk moved from having a simple web company into helping found SpaceX and Tesla Motor Company. Larry Page started Google on an idea and some knowledge. So can you! While you might not quite make that level, there’s room in the market for your ideas on real estate. Blog about them, talk about them, get them on paper and into the public. The thing all of these folks have in common is that they made websites that primarily assist others in achieving their goals. Do the same yourself, and see the results grow. When it comes to the internet, you need to understand that it’s a primarily social medium. Blogs don’t exist just to detail ideas, they’re made to discuss them and make them better. Every big, successful blog has methods of creating conversations around them. WordPress has implemented a system where you can find content on their site and engage using your account. Twitter, Facebook, and Tumblr all have their own conventions on how to share and respond to content. The key here is that no matter the medium, the form exists to talk to others. Comment sections and conversations on Twitter are important. Invent a hashtag, get people talking, ask for responses. People talking about your idea, especially if you can get your name or your hashtag attached to the conversation, means that you’re getting free press and association with your idea. Even if people don’t want to be part of your conversation—say, people are already impressed or just want others opinions for their consideration—at least make it easy and simple for people to share those ideas and articles with others. Promote the ideas on Facebook, Twitter, Quora, wherever you have a social media presence. Remember when we said earlier that word-of-mouth was the best form of advertising? As the world moves more and more to mobile technology and consumption of media, social sharing and commentary is the new word-of-mouth. In fact, search engines like Google are starting to use social shares through sites like Google+ and other social media to help rank sites in their results—a big factor in getting found online. There are many forms of blogging. Twitter, technically, is a micro-blogging app, which amounts to a series of small posts of ideas you could put up during a lunch break or between appointments. If you find your ideas don’t fit, WordPress.com has a longer form that you can flesh out your ideas on. If answering questions is your thing, Quora is the place to go. The one thing you shouldn’t do, however, is let your ideas live in your head alone. We live in a big, beautiful world with people who could use them—and who could amplify your idea to your next client. We’ve recently discussed the “Internet of Things” and smart homes, but now there’s some big news from Apple that might shake some things up. What Is Home Automation And The “Internet of Things”? If you need a quick refresher as to what the internet of things are, it’s a series of gadgets that have been given the ability to connect to the internet for your convenience. This means that your fridge might have a screen where you log your food levels so you know when to go to the store—and how much to buy. Or, your thermostat could detect if you were home and adjust itself accordingly to save you energy. These features are gaining ground and making sure homes are equipped (or at least ready) for these appliances is a big deal. Apple announced yesterday during their WWDC keynote presentation that they’re working with some of the biggest names in home technology to get most (if not all) devices onto a single standard of communication. This is a welcome change as the current market is filled with apps for each device, making managing a smart home a little complex. Now, with the addition of these standards, Siri can control the home with certain commands. The keynote itself used the example of telling Siri “I’m going to bed” to initiate the doors locking, lights going out, and other actions. There will also be an app (most likely) that will allow you to control all of your devices at once—smoke alarms, thermostats, door locks, and others to start. If you’re a real estate agent of any kind advising your clients or assessing market value of a home, home automation systems are still valuable, but stay tuned to find out which systems will follow these new standards—and to see how Apple’s new developments will help push the smart home into more common acceptance. This could be big news for the real estate market as well as the consumer market. All of the social media outlets are recommended for your business. They’ve become a force that’s not just for sharing your personal life with your friends but for sharing your professional life with your clients. This is how our Facebook looks. Images, too, have become key to interacting on the social web. As our devices have grown more powerful and visually stunning, the use of images has risen too—to the point of being a necessity. We don’t need to convince you that you need images, we’re sure—the numbers bear that out. Engagement on photo posts is far, far higher than on text posts. The Internet is a visual medium. But how do you use the images in a way that promotes your business and shows that you know your tools? Part of it is knowing the image size you’ll need. Below we have a list of image sizes (in pixels) that show the optimal size for images to be seen, clicked, and responded to. All dimensions are listed Width X Height. Using these guidelines can and will help you to promote your business because you’ll quickly improve your social media prowess and make your business look more beautiful and appealing to the average social user. Feel free to bookmark this guide to the social media recommended image sizes in case you need the numbers again. Happy marketing! When deciding whether to update or not, users often don’t take major factors into consideration—which could end up costing them a lot of time, money, and their personal data in a worst case scenario, all to dodge the inconvenience of learning a new piece of software. Updating is, in fact, essential to good business practice and good system security. It’s not just older folk that tend to get this wrong, either. While the stereotype of grandma not running her updates on her device because the tools she uses “just work” are justified, you’d be surprised at how far down the chain that goes or just how many holdouts are out there. For instance, you might be surprised to know that as of April 2014, 26.29% of computers are still on Windows XP—a computer system that is officially not receiving any more major updates or security patches. Still more are running Windows 7—almost half of all computers in operation—an older system that is, thankfully, still receiving support. But, why update from something that works? Why change the tool? The furor over Windows 8 (and 8.1) are some of the design choices that it’s made. In response to criticism and market pressure from rival Apple, Windows undertook a massive redesign project that was meant to make it more attractive, more useful, and better adapted to work on touch-based devices like smartphones and tablets. And, when used in that environment, it’s a pretty good system. (Even on a standard desktop, it’s not so bad—we here at Hillsborough Title run the equivalent of Windows 8.1 and we’ve not encountered too many problems.) But, the massively changed interface is confusing people and turning them away from these new systems because they don’t like how it looks. But, if the computer was only how it looked, then there would be more artists and designers and fewer programmers. The computer is a tool, and the paint is only so important. Would you want to be tasked with selling a home that’s beautiful and luxurious on the exterior, fresh paint, beautiful view, the right location, but had no way to put locks on the doors and windows and had damage from previous burglaries? No—and that’s exactly what older systems represent. So, if you’re serious about security and having the best system that you can, click the update button, both for security updates (like Mac OS X’s 10.9.x updates and Windows’ 8.1 and other security packs) and for major operating system upgrades (like going from Windows 7 to Windows 8; OS X 10.8 to 10.9). If you don’t do these upgrades, you might be left with security holes in the system that allow others to get into your machine, find your personal data (including those things that are private and confidential by nature), and possibly use it for illicit purposes. If the design is holding you back, be sure to understand: by not clicking the button you assume the risk of those security flaws and holes being used against you. Worst case scenario is data loss and theft, but viruses and malware sneak in through those holes and slow down your computer, as well. Don’t let the paint sway your purchase; the paint can change but the strength of the structure is what you should be concerned with. The takeaway: Updates are almost always worth it, whether you like the design or not—if you’re concerned about security. There are a few instances where updating is not practical—usually if you’re in the IT field and you’re managing a network of computers that must work together. Updates change code and your programs might rely on the old code to work properly (or at all). If your business relies on a tool, be sure that tool is also updated to use the new code or else you might find yourself in a bind regarding your business. If your tools all operate offline and do not require any connection to the internet, you should be safe and won’t need an update (for now, anyway—there are viruses that can communicate through sound these days and infect computers not connected to a network). Be careful about how you use your computer and make sure to apply all the updates necessary to keep your computer running at top shape and as securely as you possibly can. 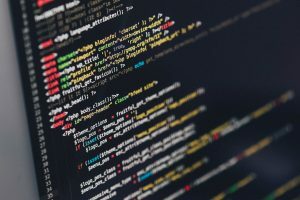 Maintaining good updates is a great way to defeat bugs and problems like Heartbleed—as the big companies running outdated software quickly found out. The takeaway: You can ignore updates safely only if you know your computer well enough to not update or if you’re completely disconnected from the internet.